This is a sponsored post from Disney Music and One2One Network. All opinions are my own. As a child growing up Disney always played a big part in my life. I loved watching Disney movies. I would pretend to be a princess, dress up and dance around to my favorite Disney songs. It seems like just yesterday that I was singing to the moon and stars - "When You Wish Upon A Star". Now, as a mother, I am reliving those days through the eyes of my own children. Every since we received a digital copy of the album Jazz Loves Disney, we listen to it daily on the way to and from school. We really love the fact that the album is a mix of classic and new Disney. There is just something about the songs that you can's help but sing along. I think that's something most people can agree on, we all have our favorite Disney song and character. The smooth calming sound of jazz is a welcome addition to these songs. It is a delightful spin on the songs we all know and love. 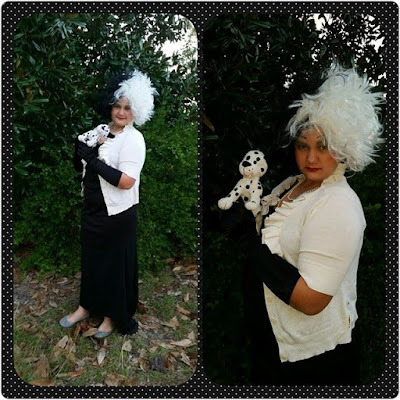 This is my daughter dressed as the one and only Cruella Deville. This year our school did all things Disney for homecoming week. 5. 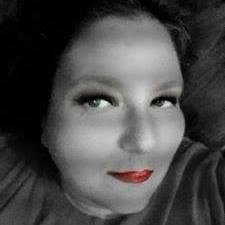 China Moses – "Why Don’t You Do Right" – from Who Framed Roger Rabbit? 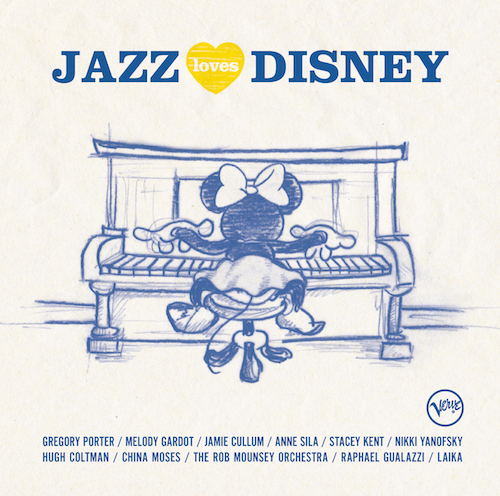 The Disney movie which affected me the most probably was the Aristocats, that movie was the first time I heard Jazz as a little kid, and I just remember loving the music so much, it was not the most popular movie when I was young but still my favorite one. “Someday My Prince Will Come” comes from Snow White and the Seven Dwarfs, I love that movie so much, all the different personalities…"